Live in Tucson? Have a virus? Call us for fast friendly affordable help today! Tucson Virus Removal - fast, friendly service. Live or work in Tucson, Marana, Green Valley, Oro Valley? Think you have a computer virus? Need to remove a virus today? Call 520 405-9568 for computer virus removal fast. Continental Computer Services is one of Tucson's best sources for Virus Removal Tucson can trust. The average number of computers infected by viruses, malware, and spyware has skyrocketed over the past few years, making more computers vulnerable to identity theft. When you need to remove a virus, our Tucson computer virus removal service will help. Here in Tucson virus infection is common. If your computer is getting slow and sluggish, you are probably in need of a computer tune up. If you suspect a virus on your computer, please contact us immediately. Our technicians are skilled at Tucson virus removals and can properly remove a virus or spyware, repair any damage to your files and show you how to safely protect your files in the future. Have a Tucson computer virus or Tucson virus infection? Need Tucson Virus Removals? Call Continental Computer at 520 405-9568. Computer spyware is a term used for software that performs certain behaviors such as advertising, collecting personal information, or changing the configuration of your computer, generally without your approval. You notice a new toolbar in your browser that won't go away. Computer takes longer than usual to complete tasks. You experience more frequent computer crashes. Web browser has been high jacked and your homepage changes. Computer takes a long time to boot or freezes while booting. Background changes and won't change back. taken care of immediately more severe problems may occur. download from the internet to get rid of spyware. They may be the very same programs which are causing you all the problems. Call us immediately before it spreads. We can safely remove viruses/spyware without affecting your valuable data. Install the latest virus and spyware protection. Keep your important files protected from future damage. Check your security to make sure only you have access to your data. Secure your computers from outside intruders. Install protection from internet worms. Install firewalls for your network security. Clean spyware and prevent future attacks. C.C.S. 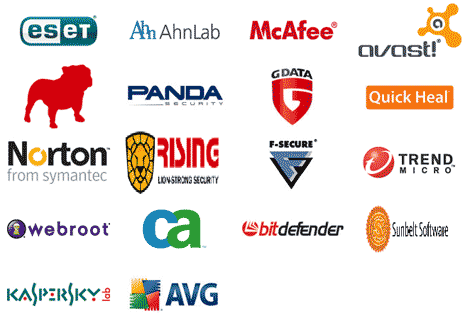 is proud to serve our neighbors with a trustworthy Tucson computer virus removal. When you have a Tucson Computer Virus or Tucson Virus infection, we can help. With so many great software packages out there to help you avoid Tucson Virus Infection, the decision can be overwhelming. However, we commonly suggest these free choices - Malwarebytes and Microsoft Security Essentials.